Across The Tune-iverse with host Bessie Mae Mucho is a two hour excursion through music and genres from around the world. Artists may include The Afrofunk Experience, Antibalas, Headhunters featuring Samba Ngo, Sihasin, Buffy Sainte-Marie, Jim Pepper, and Joy Harjo. You rely on KZYX to bring you the programs you love, and the news you need. 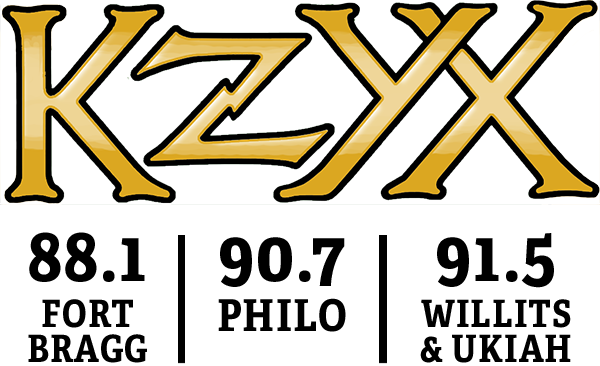 KZYX relies on you for survival, and now more than ever, listeners make it all happen. It's Thursday afternoon. World Tour programmer Beth Lang and Weekly World Muse programmer Bessie May Mucho shared the microphone with Audible Feast programmer Fred Wooley to appeal for Pledge Drive donations.